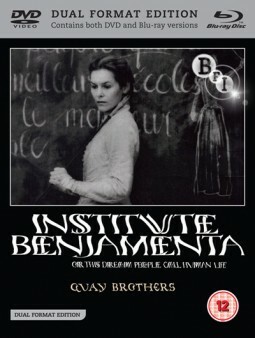 “Institute Benjamenta” is the first live-action feature of the Quay Brothers and is a haunting twist on a fairytale. It is based on a novella by Swiss writer Robert Waser, “Jakob von Gunten” which is set in Institute Benjamenta where seven students are learning to become servants. Jakob (Mark Rylance) arrives and becomes student number eight. The classes are conducted by the deranged Herr Benjamenta (Gottfried John) and his sister, Lisa Benjamenta, a sexually electric woman. Jakob narrates the story and as he takes up his life there, he begins to discover just how bizarre the place is. Lisa seems to get wilder by the moment and she is drawn to Jakob. Visually this is cinematic art. It is filmed in black and white with a great of dark imagery and we are aware of the Quay’s history in animation and here the human actors replace the puppets of their earlier films. This is a very difficult film to describe and to really understand it, one must actually see it and more than once. After the students finish their course, none leave to take a job and in fact no new students arrive. Some of the students suspect an incestuous relationship between Lisa and her brother and even though there is a spark of interest in Jakob for Lisa and vice versa, Lisa becomes almost catatonic and things continually get worse. Jakob is blamed for this although there is no hint that he had anything to do with it. Between the main and end credits here is a world that is visually ravishing and technically abstruse that you are only in the film while you are watching. Nothing else matters and the rules of the outside do not apply. 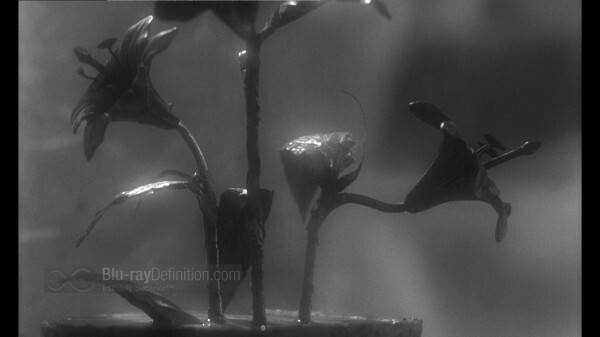 We see dreamy, foggy black-and-white and what we can’t identify for certain your imagination fills out. These are the most special effects because we wonder what all of this means. “The Institute of the title is a school for servants, the lessons they are taught bizarre and repetitive to the point of making ‘déjà-vu’ a permanent state of being. Is the repetition the point of it all or has the teacher lost the plot? If she has, how come we care? None of this is vaguely like real life. None of it, that is, bar the characters emotions. Or is the whole thing like real life, like Life with a capital ‘L?’ In the end does this sort of pondering make for a good movie?”. There are images, and scenes that are very eerie and that make us think “What is really going on here”? 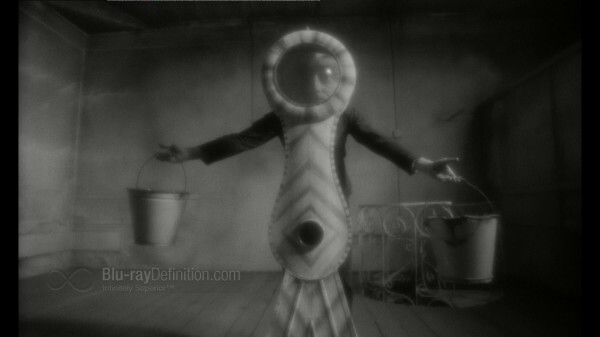 Every single frame in the bizarre odyssey is tightly composed and beautifully printed in black and white. The use of shifts in focus and depth, and the wild juxtapositions of the most mundane actions, allowing them to take on any number of connotations only heightens the floating dream like atmosphere, as we are dumped into this world with no idea of what is going on, or what is going to happen”. “This is a story about love, death, pride and loneliness and the mask of a pride on everyone wears in society, and loneliness and love under this mask. The best of human emotions never seem to come out from under this mask and this is the strangest contradiction. Emotions are hidden beneath pride and what is shown to the word is not what really is. 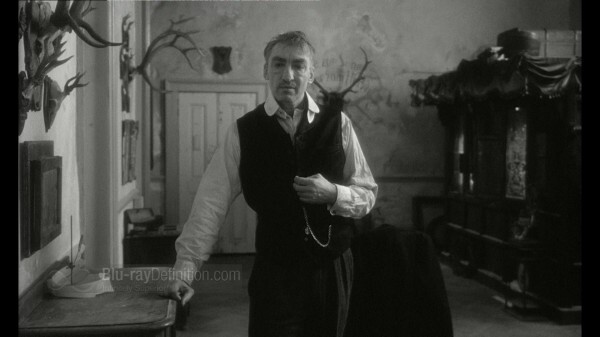 Humor in this film does not exist and what might have been funny is replaced by a dreamy gloom and “poetic obscurity”. But you must see this film to even begin to understand my review and I must say that this is my kind of film. I saw it twice last week and am still thinking about it all of the time. A film that makes me react like this is what I look for and they raise the entire movie industry’s artistic standards. Some may find it tedious and unrewarding and I imagine those that do so are also tedious and unrewarding people. This entry was posted in Film on June 30, 2012 by Amos.